Resteiner Trucking . . . leading the Transportation Industry in Northern Michigan! We specialize in serving contractors and road builders from large to small with great service and competitive rates. From our dispatchers to our drivers, providing exceptional customer service is our number one priority. 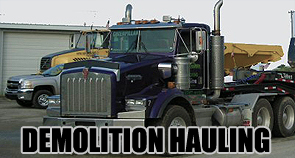 We can also serve your demolition needs with our steel rock tub trailers. 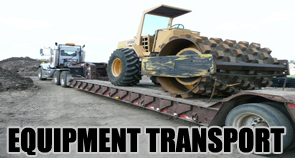 We can haul your over sized and weight loads. 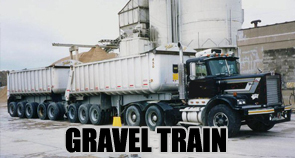 Our fleet of 10 gravel trains and lowboys are constantly traveling throughout Michigan to move your equipment or material as competitively and quickly as possible.